This originally appeared in Psychology Today. While most people accept that domestic dogs and other nonhuman animals (animals) experience basic emotions such as anger, fear, anxiety, joy, happiness, grief, and sadness, some doubt whether dogs are cognitively sophisticated enough to display jealousy, guilt, shame, or embarrassment, the so-called "higher" or "more complex" emotions. However, existing data do not support the claim that they don't. It is commonly assumed that jealousy is unique to humans, partially because of the complex cognitions often involved in this emotion. However, from a functional perspective, one might expect that an emotion that evolved to protect social bonds from interlopers might exist in other social species, particularly one as cognitively sophisticated as the dog. The current experiment adapted a paradigm from human infant studies to examine jealousy in domestic dogs. We found that dogs exhibited significantly more jealous behaviors (e.g., snapping, getting between the owner and object, pushing/touching the object/owner) when their owners displayed affectionate behaviors towards what appeared to be another dog as compared to nonsocial objects. These results lend support to the hypothesis that jealousy has some ‘‘primordial'' form that exists in human infants and in at least one other social species besides humans. The article is free online so a brief summary is as follows. To study jealousy in dogs (n = 36), the researchers used a test that is similar to one that is used to study jealousy in human infants. The dogs were videotaped while their owners ignored them and interacted with a stuffed dog that could bark and wag its tail, a novel object (a jack-o-lantern pail), or when they read a children's book aloud. The owners were unaware of the goal of the study. The results of this very important and carefully done study showed that dogs displayed jealousy (snapping, getting between the owner and the object) when owners showed affection to the stuffed dog, but not when they showed affection to nonsocial objects. The authors conclude that jealousy occurs in species other than humans and that much more comparative research is needed. It is indeed. Furthermore, I like that they adopted an experimental design that is used on prelinguistic humans from whom inferences also have to be made about what they're feeling. As I noted in an interview I did on this research, we have to draw inferences about what nonhuman animals and prelinguistic youngsters are feeling and there is no reason to assume a priori that when we see similar patterns of behavior there isn't a common underlying emotion. This study of jealousy reminded me of claims, absent data, that dogs cannot feel guilt or shame (please see "Do Dogs Really Feel Guilt or Shame? 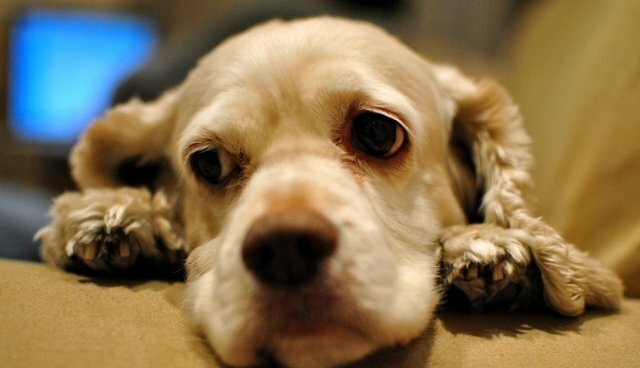 We Really Don't Know" and "Can Dogs Experience Guilt, Pride, and Shame: Why Not?"). We don't know if dogs experience guilt and shame. However, because it's been claimed that other mammals with whom dogs share the same neural bases for emotions do experience guilt, pride, and shame and other complex emotions (see this, and also this and this), there's no reason why dogs cannot. And, there are solid biological/evolutionary reasons to assume dogs can and do. Recall Charles Darwin's ideas about evolutionary continuity in which the differences among species are seen to be variations in degree rather than kind -- "If we have or experience something, 'they' (other animals) do too." Arguments based on continuity support that claim that discovering jealousy in dogs is not all that surprising. My study was decidedly NOT about whether dogs 'feel guilt' or not. (Indeed, I'd love to know...but this behavior didn't turn out to indicate yay or nay.) I would feel dreadful if people then thought the case was closed on dogs (not) feeling guilt, which is definitely not the case. Many secondary sources got this right, but it must require reading the study to appreciate exactly what I did. The "as if" disclaimer is misleading as is using scare quotes to discuss animal emotions. The idea that dog jealousy is a "primordial form" of jealousy doesn't sit well with me. I know of no careful discussion of what a "primordial form of an emotion" would look like, and the word usually is used to refer to something very ancient, existing from the beginning of time. The implication of the word seems to mean "not as developed" or "less rich and deep". Some people use the words "quasi" or "proto" in the same way without providing a detailed account of what they mean, other than the implication that the animals aren't feeling something as deep or as rich as we do. Jessica Pierce and I write more about this in our book Wild Justice: The Moral Lives of Animals especially with respect to different views on morality. Prolific Psychology Today writer Stanley Coren accepts that dogs experience jealousy and envy and writes, in an essay discussing research showing that dogs have a sense of fairness (inequity aversion), that they're "not quite as complex" as in human beings. While this might be so it does not mean that they are "primordial," "quasi", or "proto" emotional states. Some people also like to put quotation marks (scare quotes) around words such as love, grief, and sadness, for example, when they talk about the emotional lives of animals, as if they're not real -- as if only we have true emotions but other animals don't -- or because they're not like our own. Some skeptics also like to say they're sort of like ours but not as deep or as rich. There's simply no reason to use scare quotes when talking or writing about animal emotions or to assume that their emotions aren't as real or as deep for them as our emotions are for us. A personal example shows why it's so difficult to make claims about what humans are feeling. My sisters and I grieved rather differently after my mother passed away but the grief we felt was profound. Different from does not mean less than. The use of words like "primordial" and the use of scare quotes cheapens what other animals are feeling -- they're only acting "as if" they truly feel this or that -- and also is speciesist in that it elevates humans above and separate from other animals, which we are not. There's no doubt that many animals experience rich and deep emotions. It's not a matter of if emotions have evolved in animals but why they have evolved as they have. We must never forget that our emotions are the gifts of our ancestors, our nonhuman animal kin. We have feelings and so too do other animals. We need to keep the door open on the cognitive, emotional, and moral capacities of other animals. Numerous "surprises" are constantly being discovered, such as fish using gestural or referential communication to indicate the location of food to other fish, prairie dogs having communication systems that rival those of great apes, rats displaying regret, and mice, rats, and chickens displaying empathy. As a scientist, calling these and other discoveries "surprises" suggests that we don't think fish or other animals can do something or feel certain emotions before the necessary research is conducted. What makes the field of cognitive ethology -- the study of animal minds -- so exciting is that there is so much fascinating research to be done. This study opens the door not only for more research on jealousy but also on other emotions such as guilt, shame, envy, and embarrassment, for all of which there are many good stories from both citizen scientists and renowned researchers (please see here). It is strange that behavioral scientists often ignore such common observations. It is well accepted that dogs have a broad range of emotions. Dogs are certainly social animals, and jealousy and envy are triggered by social interactions. Dogs also have the same hormone, oxytocin, which has been shown to be involved in both expressions of love and jealousy in experiments involving humans. Indeed, dogs and their wild relatives are prototype mammals among whom one would expect jealousy to evolve as an adaptation to the social milieu in which they live. I'm sure I'm not alone in having seen similar behavior patterns among wild coyotes and wolves, and I also feel certain that other researchers have seem similar behavior patterns in other wild animals.